It might not be suitable for someone with diabetes, bleeding or clotting disorders or certain cancers so you need to speak to the practitioner or your own doctor before you start if you are concerned. You must tell your practitioner if you are - or think you might be - pregnant. The practitioner is trained to recognise when and whether a Sports Massage will do the client more harm than good. If such a situation arises, you will be referred on to another health professional. Sport Massage and Remedial Therapy work the muscles in a deep and thorough way during the treatment and it is therefore not a good idea to eat a heavy meal or drink alcohol in the hours leading up to your massage. What happens when I go for a Sports Massage? Consultation - Appointments begin with a consultation to discuss your current health and medical history. Lifestyle, work, emotional, sporting and leisure activities will also be taken into account. This helps to determine if there is a medical reason that you can't have a massage. It also helps the practitioner tailor the massage to meet your current needs. Musculoskeletal Assessment - An assessment of the musculoskeletal system is made. This could include evaluation of your muscle and joints and simple mobility testing. A trained sense of touch will be used to locate areas of tightness, strain, weakness or injury. Postural Analysis - Your posture wil be analysed and any imbalances or restrictions noted. 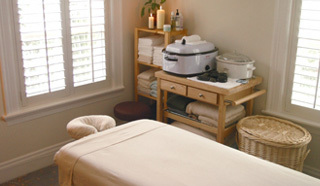 You will receive your Sports Massage in a private, comfortable, relaxing treatment room. You will be asked to undress to whatever degree is comfortable for you for the assessment and massage session. Towels will be used to cover the areas of the body not being worked on to maintain modesty and keep you warm. Massage treatments are client-centred and tailored to you as an individual and a variety of techniques are utilised depending on what you need. If at any time you become uncomfortable, inform the practitioner. You know your body and your needs best. The practitioner will respond to whatever you feel is right for you. Advice may be given on changes you can make to your lifestyle or your training programme to help prevent muscle discomfort and injury. In addition, remedial exercises and stretching techniques are given that you can do in your own time to aid recovery and complement your massage. How will I feel after Sports Massage? At the end of the session you will likely be in a deeply relaxed state, so you will be advised not to get up too quickly from the table. Get dressed at a relaxed pace. Sports Massage and Remedial Therapy helps loosen tight, stressed muscles thus allowing blood and oxygen to circulate properly and release toxins. It is therefore important to drink plenty of water after a massage session to help eliminate these toxins from the body. This is will also help combat the dehydrating effect that massage can have on the body. Sports Massage and Remedial Therapy can sometimes cause discomfort. This may seem a negative course of action, but this is only ever ‘good’ pain – that is, you will instinctively know that a problem has been identified and is being treated. You will be encouraged to describe any discomfort as it occurs and the practitioner will act upon this information immediately, modifying the technique to suit you. You may feel a little sore or achey in the areas that have received specific treatment following the massage. This is expected and is a sign that the body is healing itself. It should subside within a day or so leaving you feeling better than ever. The practitioner may recommend applying heat to the area, applying arnica cream or stretching the treatedarea. Please feel free to contact Smart Practice if you are concerned at all about post-massage soreness. What massage lotion is applied to my skin and why? NAQI Massage Lotion – Oil-rich but non-greasy, absorbent, unscented, hypo-allergenic massage milk specially developed for deep tissue massage. It does not cotain PARABENS nor FORMALDEHYDE RELEASERS which enhances the natural harmony of the skin. It provides intensive hydration and strengthens and softens the skin. It moisturises, protects and takes care of the skin and rinses off easily with water. Supersalve Massage-Balm – A deep-acting massage balm composed of a unique and effective blend of soothing natural ingredients which have healing and restorative properties. It has been specially formulated for use by professional therapists during treatments to speed up recovery of sports and other minor injuries and to relieve stiff, aching and fatigued muscles and joints. Sweet Almond Oil – This base oil is the best all-purpose carrier oil because it is neutral and hypo-allergenic. This is used preferentially in the relaxation massage and in pregnancy massage. Do you offer follow up support after a Sports Massage treatment? 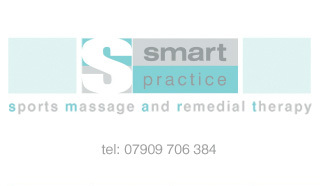 All clients are welcome to contact Smart Practice for information or advice following a treatment session. You may want to revise what was discussed during the session, how you are feeling subsequently, or go over, for example, stretching techniques. Even if you came for a one off treatment you are invited to remain in touch.